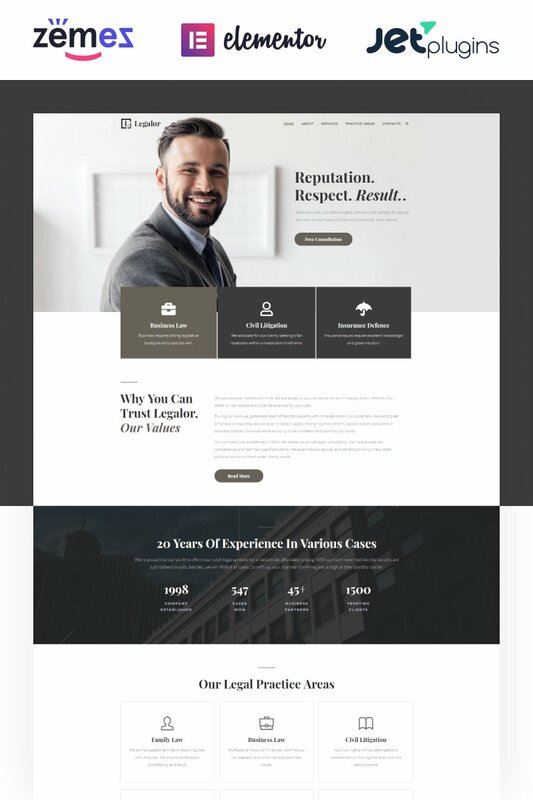 Legalor-Lawyer WordPress Theme looks either minimalistic, professional and elegant at the same time. Except clean design you will get powerful and easy to use Elementor page builder, which allows you to customize your content and create various widgets, backgrounds, various effects and other elements. The theme comes with JetElements plugin, containing exclusive modules, which were not included to original Elementor basis. Also, you can find JetBlog – a stunning plugin for better displaying your blogs layout. Legalor contains awesome JetTabs and JetBlocks plugins, specially devloped to add custom-made tabs and different elements to your site. With JetTricks plugin you can add various visual effects to your webpages. Solarro – Solar Energy Company Elementor WordPress Theme is what you need for a professional-looking alternative power website. Despite the fact, that it is very simple in use, it is very powerful! This solar energy theme is pre-loaded with an ultra clean code, a clear step by step documentation, and a 2-step installation process. Therefore, you can get started with your website on the fly! With Solarro you will be able to manage and customize your content with powerful drag and drop Elementor page builder. Effector- Landing Page WordPress Theme provides great flexibility. It will allow you to customize your website as much as you want. You can create a fully-functional website without any programming skills. You will be able to build your content absolutely effortlessly with the help of drag and drop Elementor page editor. Plus, you get loads of additional modules with JetElements plugins, which contains exclusive elements, not being available in standard Elementor package. You can find JetMenu plugin and create your own custom Mega menus within few clicks! Assetiss – Modern Business Advisor WordPress Theme is a good example of a theme that provides an adaptive interface for users of the initial and intermediate levels of website ownership experience. Google fonts are available in the theme for font design. For the background, you can load any image instead of the default one. This theme has SEO-optimized code and well-organized pages. A clear structure will help the site visitor immediately find all the necessary information. The design will attract attention. The interface of the theme will help visitors not to get confused even in a large amount of text and other information. 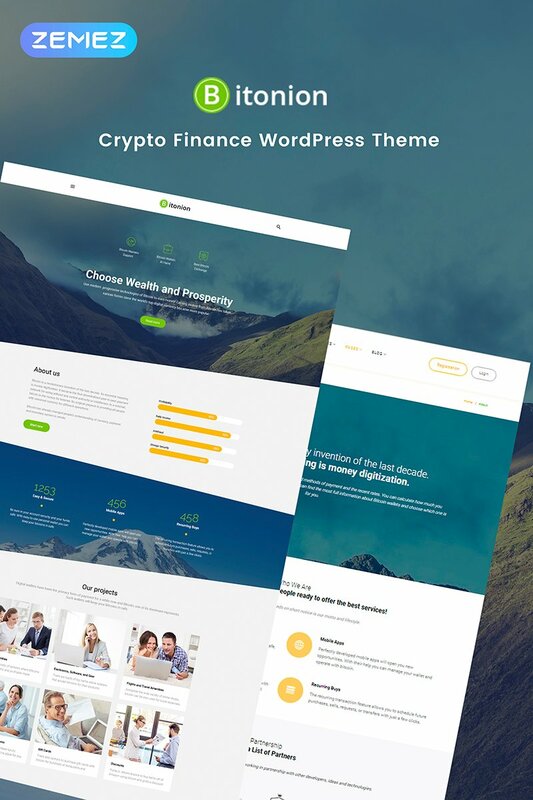 Sweetventure – Venture Capital WordPress Theme is a WordPress theme for finance purposes, venture capital firms and other investmens companies. Sweetventure is 100% responsive and works great on all devices like smartphones and tablets. This theme is 100% customizable and comes with more than 600 themes options. You can change all colors, fonts and backgrounds. It is designed for both entrepreneurs and businessmen looking for a theme they can use for corporate and venture capital websites. Sweetventure is very easy to use.